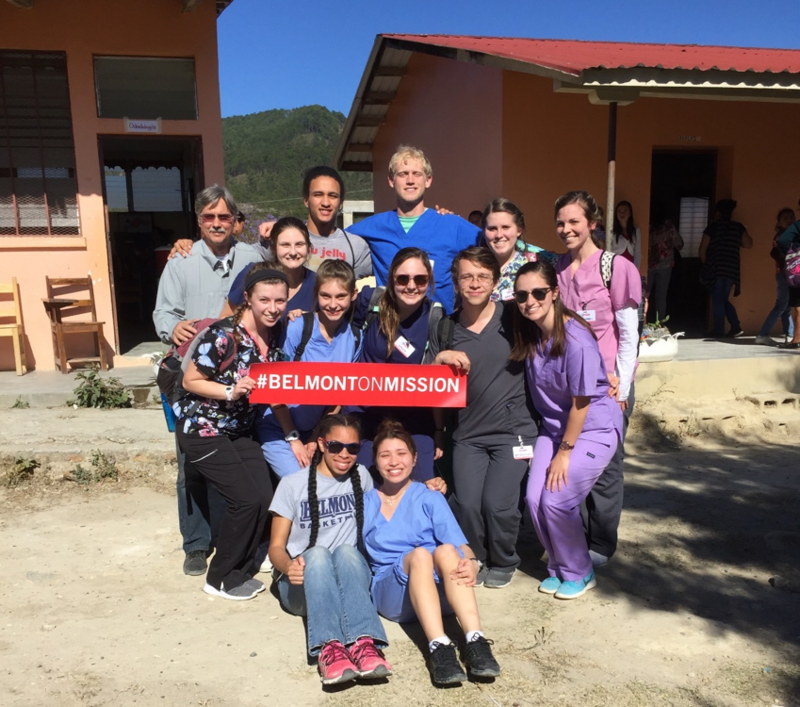 The newly established Belmont chapter of Global Medical Brigades spent spring break in rural Honduras working alongside the local community to help implement a sustainable healthcare system. The group participated in a 3-day temporary clinic in the remote community of Manzaragua where they worked intake/triage for almost 700 patients, shadowed and assisted healthcare providers, conducted “charla” (chats) with the local children teaching them proper dental care while administering fluoride treatments and collected electronic patient records to help monitor overall community health trends. In addition to the clinic, they participated in public health projects where they worked on a pipeline for a clean water project in a community with no running water and built eco-stoves that help provide clean-air living conditions in the home. Students in BGMB represent a diverse group of majors from across campus including pre-health, biology, social work, chemistry and exercise science, among others. The chapter worked closely with the Public Health Program to prepare for their trip and Dr. Williams, director of the public health program, serves as their advisor.